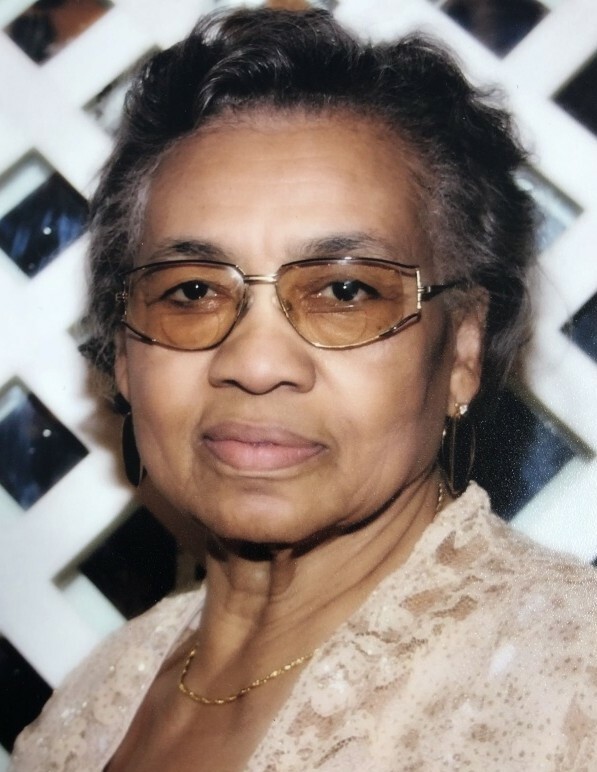 Mrs. Elmira Jeffers Pinnix, 84 of 224 School St. passed away on November 30, 2018 at the Alamance Healthcare Center. She was the daughter of Eddie Jeffers and Maude Mitchell Jeffers and the wife of James Pinnix all deceased. She was a member of Hamer Baptist Church and attended regularly as her health allowed. She was a graduate of the Caswell County Training School and was gainfully employed with Kayser-Roth Hosiery Mill and later retired from SCI. “My” as she was known by many; loved shopping, sewing and talking with her sisters on the phone. Elmira was a doting grandmother and great-grandmother. Survivors include: four children: James F. Pinnix (Nickie), Gregory L. Pinnix (Paula), LoRita K. Pinnix and Charita P. Reaves (Michael); 10 grandchildren; 5 great-grandchildren and 6 siblings: Annie Harrelson, Nora "Peggy" Brown, Mattie Jeffers, James Sherman Jeffers (Lillie), Joseph Jeffers (Lula) and Mary Pace (William). She now joins her husband James, her parents, two children: Jeffrey Pinnix and Anita Pinnix and 6 siblings: Moses Jeffers, Earlin Jeffers, Mitchell Jeffers, Fred Jeffers, Polly Cobb and Myrtle Bradshaw.